It’s one of those questions we get asked all the time: Where can I get the best massage/facial/fill in-the-blank? In honor of Valentine’s Day, we’re answering. Whether you want to indulge your sweetheart or simply take a body-and-mind melting moment for yourself, our city has no shortage of sybaritic spa experiences. While it’s nearly impossible to pick favorites, we’re sharing four that have delivered near-nirvana-like relaxation for our most trusted sources. Any one of the could be the trick that banishes late-winter blahs or sets the mood for an unforgettably romantic weekend. 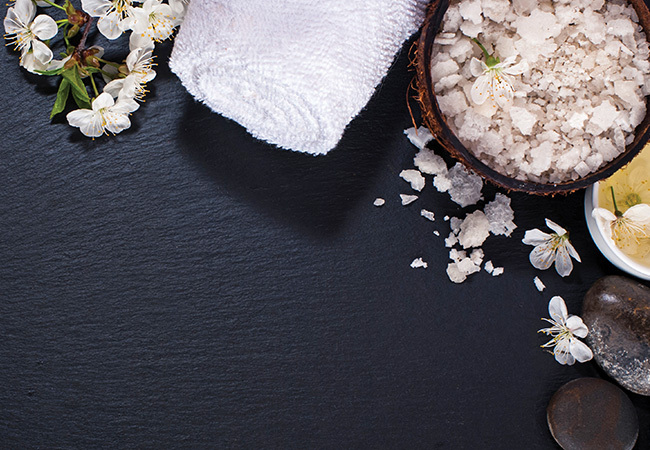 Imagine spending sixty minutes in a hushed, softly-lit room while sea salts are gently massaged into every inch of your dry winter skin until those dead cells and rough patches on elbows, heels, and arms magically disappear. Next, you’ll be treated to a soothing oil rub that leaves your body so silky and soft that you won’t remember what winter even feels like. For anyone who’d prefer a long, languorous hair burshing and massage to a full body treatment, this aromatic, incredibly pleasurable, thirty-minute conditioning treatment will leave you relaxed into a puddle of pure stresslessness. (If that’s a word.) And, yes, afterwards, you will emerge with a lustrous, healthy head of hair that just begs to be taken out for a night on the town. This is a weird case in which something that’s very good for you also happens to be so pleasurable that it fulfills your need for pure pampering. This complexion-perfecting treatment starts with a scrupulous skin analysis, steam and exfoliation and winds its way into a hand and arm massage and brightening ampule treatment enhanced by ultrasound. Did we mention there’s a décolletage massage and mask as well? It’s like cramming a spa weekend into a salon visit. No wonder you walk out glowing. It’s the gold standard for relaxation: the classic muscle-kneading, limb-stretching Swedish massage. And it’s always on the menu at Massage Envy. After forty-five minutes of light circular pressure applied by hands and palms, percussion-like tapping, and bending and plying of body parts, the recipient (whether it’s you or your loved one) will emerge stress-free and serene… if you can drag yourself off the table and out of the softly-scented, candle-lit room. COST: $55 for first visit.